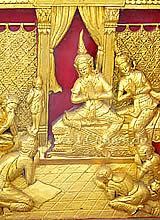 There are tailors on almost every corner in Southern Thailand. Most of them are Indian emigrants. There are big differences in quality and price. Suits are available in very cheap to best quality. 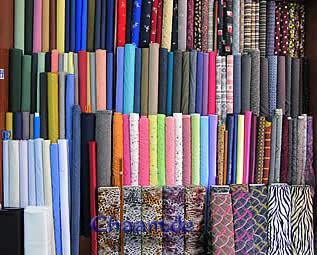 Make sure that you choose the fabric yourself and make the price depends of the quality of the clothing material. A suit can cost from 50 € to more then 100 €, a blouse about 10-25 €. But Take care: Some tailors are very friendly to you, but they want so sell you the cheapest quality for a high price! 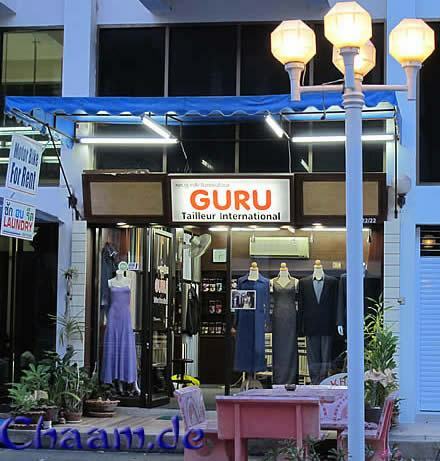 Most tailor shops in Thailand who are selling tailor made suits do it not on their own, they send the work to small, Thai tailors, because they can not sew. Ask the owner about this, before you order, because it is a quality feature! The manager of a tailor shop normally takes measure of your body and conjures the most beautiful fabrics from clothes to suit your unique needs and wishes. Dark lined suits with pinstripes or a fresh summer dress from a Cha-Am tailor, all you need you can get it in high quality for low money. 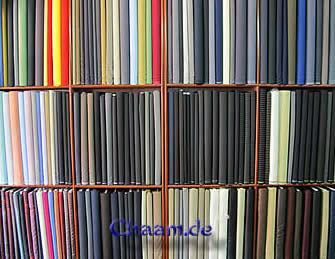 But please, pay no attention to the friendliness of the cutter, take care of the quality of the fabrics. If you are not 100 % satisfied with the results, improvements can be made ​​at any time.